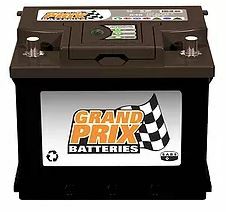 GRAND PRIX BATTERIES CARRY A 12 MONTH GUARANTEE. Price includes trade in of old battery. NAPA forms an integral part of the unique distribution strategy of the Midas Group combining the entrepreneurial skills of the independent traders with the group’s resources. NAPA and its network of independent traders are strategically well positioned in their respective markets and most leading South African brand manufacturers and suppliers are utilising the NAPA platform for the distribution and marketing of their products. Being NAPA we are able to be very competitive with prices as well as be a wholesale supplier.